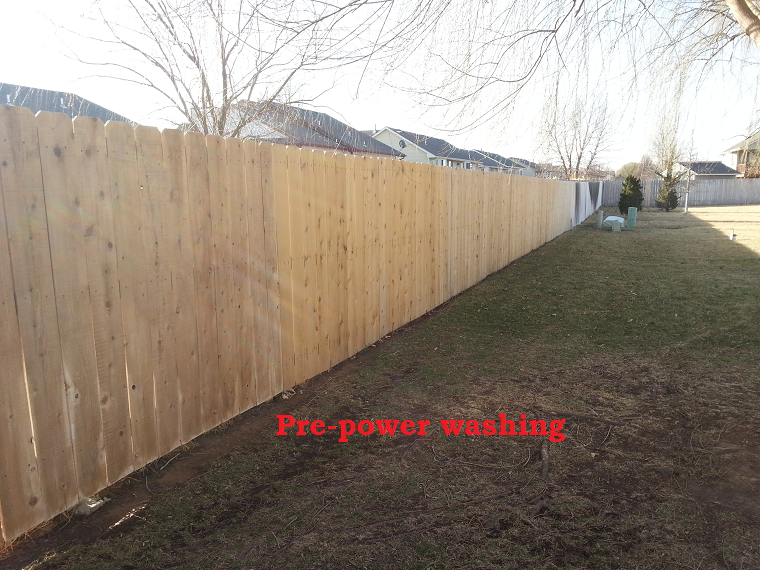 This is a fence project I recently completed for some customers in NW Wichita. 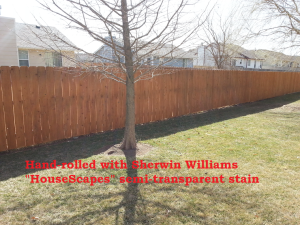 This fence was 156 linear feet! It was long. 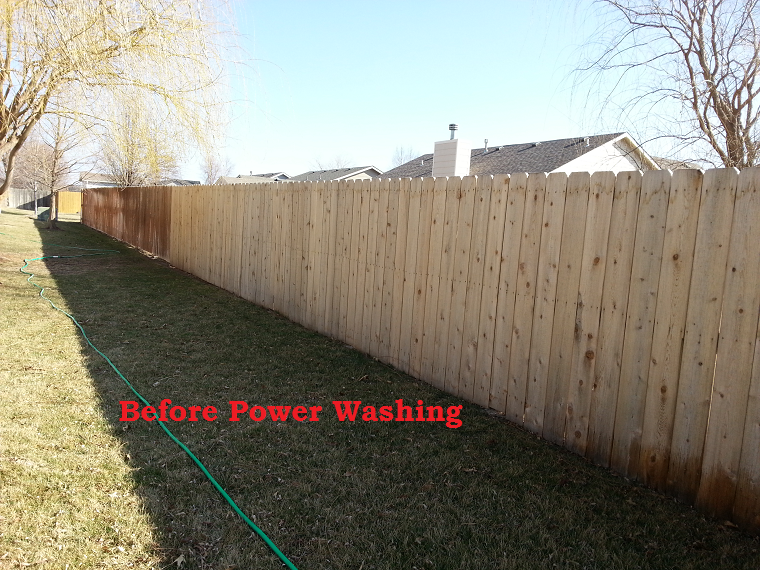 It took about 4 hours to pressure wash all the old weathered look and make it shine again. 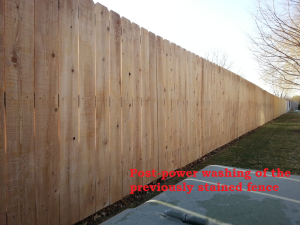 Some of the neighbor’s fence had already been stained a couple of years ago (sprayed on) and didn’t look great. Some of the fence had fairly new boards, but had not been treated at all. The whole thing was power-washed. 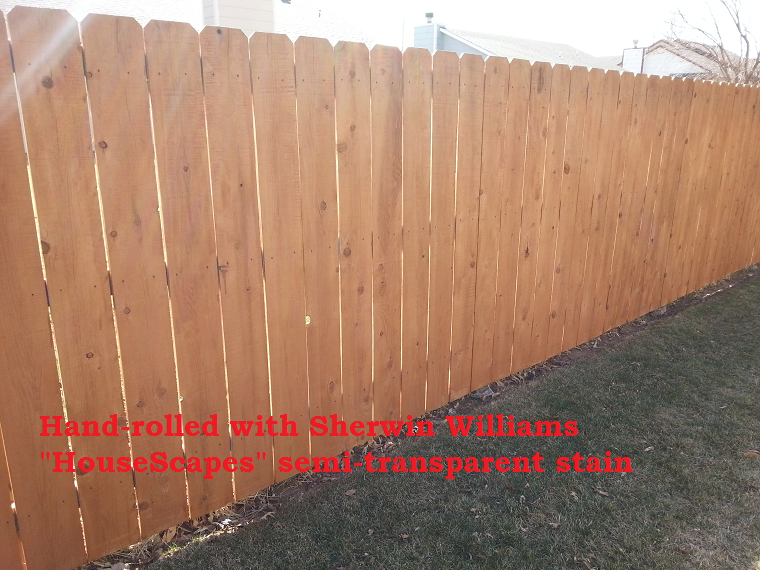 The next day when it was dry we rolled on an entire 5-gallon bucket of Sherwin Williams HouseScapes semi-transparent stain. 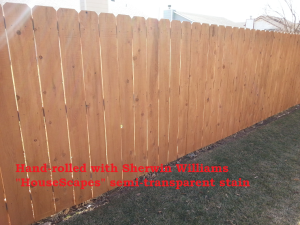 It came out beautifully. Just as a reference, labor for the entire thing comes to about $3.50 per linear foot. 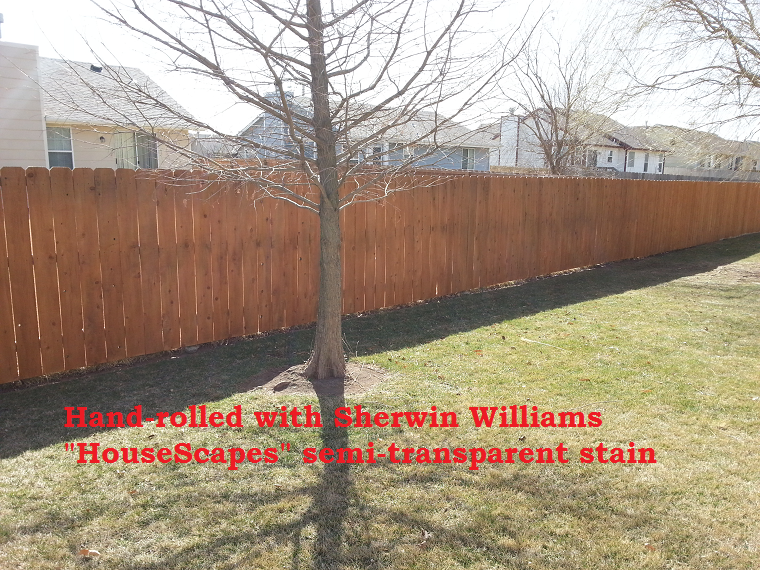 A gallon of Sherwin Williams stain covers 100-200 square feet and it’s $50 a gallon plus sundries. But when you see the results — it’s definitely worth it!